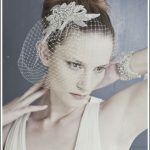 For this weeks shopping pleasure we bring you the fabulous 2013 collection from online wedding accessory boutique, Olivier Laudus, which is all about glamour and romance. The new pieces in the collection are a gorgeous mix of pearl jewellery and art deco inspired headbands using Crystallised Swarovski Elements. The Olivier Laudus online boutique was established in 2004 by husband and wife team Olivier and Sangeeta Laudus. The brand new Signature wedding collection was designed by Olivier, who’s created a range of beautiful wedding necklaces, bracelets and earrings. 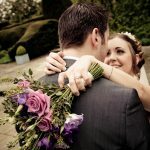 The boutique also has an extensive range of wedding tiaras, including crystal and pearl tiaras as well as bridal headbands, jewellery and finishing touches. All orders have free delivery during January so make the most of it and take a look today! Chez Bec have extended their mid-season sale and are giving a huge 15% off every order placed before midnight on 15th April 2012. 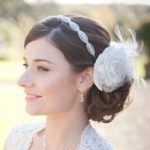 They have a fantastic collection of wedding accessories which includes vintage-inspired bridal jewellery, headbands, Birdcage veils, tiaras, pearl bridal earrings, pearl pendants, pearl bridal bracelets, pearl necklaces and wedding hair accessories. 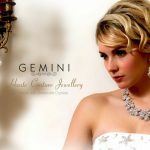 Their collections feature freshwater pearls and Swarovski crystals and all of the jewellery is hand-made to order in their studios in the South East of England. All purchases come beautifully gift wrapped in tissue-paper and luxury gift boxes with a hand-written gift card, all at no extra cost. Simply enter the promotion code SPRING12 in the discount code box at the checkout to get your 15% off. Please note that this offer is not valid in conjunction with any other offer or promotion. 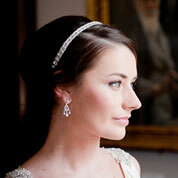 Here is just a taster of what’s on offer at Chez Bec so visit their website for more “sparkly” treats!